With nearly 25 years experience, Rick's Auto is Woodstock's first choice for a car and truck repair garage. We have a fully staffed 4 bay garage which services all domestic and foreign automobiles. 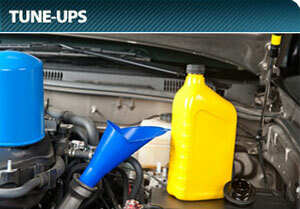 From tune-ups to engine replacement, extended warranty work to emissions repairs, Rick's Auto has got you covered. At Rick's Automotive we strive to deliver the best quality service in the area, all at some of the most competitive rates around. Ask any of our customers and they'll tell you that we go that extra mile to make sure you are happy with our work. We work with major insurance companies including: Nationwide Auto Warranty, Stricklands, Global Warranty and Coast to Coast Dealer Services. Please feel free to browse our website and find out more information about our services. We service and repair the following makes of automobiles: Volkswagen, Porsche, BMW, Mercedes, Smart, Mini, Audi, Honda, Toyota, Nissan, Lexus, Infiniti, Isuzu, Scion, Acura, Mazda, Hyundai, Kia, Mitsubishi, Subaru, Suzuki, Datsun, Volvo, Saab, Alfa Romeo, Jaguar, MG, Land Rover, Range Rover, GMC, Chevrolet, Pontiac, Cadillac, Daewoo, Hummer, Buick, Saturn, Oldsmobile, Geo, Ford, Lincoln, Mercury, Chrysler, Dodge, Jeep, Ram. 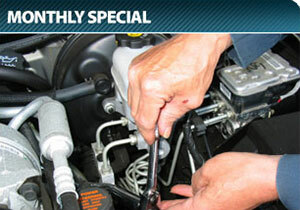 Save on fuel and keep an environmentally friendly car by having it tuned up once a year. You will feel the difference in performance and gas mileage right away. Does your vehicle look like this? 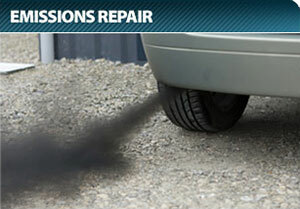 Rick's Automotive can help get your vehicle ready for an upcoming E-Test. We have put hundreds of customers back on the road. Auto Repair Woodstock, Woodstock Auto Repair, Automotive Repair Woodstock, Car Repair Shop Woodstock On, Woodstock Auto Repair, Motor Vehicle Inspection Station, Automotive Service Woodstock, Oxford County Auto Repair, Car Garage Woodstock Ontario, Mechanic Woodstock, Woodstock Auto Mechanic, Auto Maintenance Woodstock, Woodstock Auto Repair, Auto Tune-ups, E-test, Car Mechanics In Woodstock Ontario, Mechanic Shop Near Stratford On,Sweaberg, Ingersoll, Burford, Tavistock, Innerkip, Pickson, Princeton, Beachville, Embro, Thamesford.